Pet owners unite in the simple fact that their pooch is an important part of their family. A dog is more than a dog in a pet owner’s eyes – a dog is a constant companion and loyal friend. As such, owners take great pains to take proper care of their pets, giving them the nourishment they need and making them as comfortable as they possibly can. Unfortunately, having a dog can have its own set of challenges. Dogs shed at certain times of the year, and a few breeds are prone to excessive shedding. Aside from this, some dogs do have a tendency to scratch and chew on furniture. One solution for this, of course, is to train your dog to behave properly. Shedding can also be lessened if we have our dogs groomed regularly and ‘assign’ them to a particular spot in our homes. And this is where the usefulness of a dog bed comes in. Of course, it’s only natural for dogs to want to have the run of the house, as it were. They love spending time with you and absolutely adore being petted. But they also need to have a place where they can relax, take a nap, and sleep. With a dog bed, your dog can have its own special space where it can keep quiet, play calmly with its toys, and spend a lot of time during the day just lying down and dozing (with one eye open for any sign of excitement, of course). Once you present your dog with its very own bed, it will automatically know that it’s its own personal place.Waterproof dog beds give your dog its own special place. The tendency for your dog then is to find comfort in this bed because at least, there’s a place in the house that is free from its owner’s smell! There’s no doubt that our dogs love lying around on our own couches and sofas, don’t they? If it has become too much of a problem for you to deal with dog fur, then investing in a good dog bed has immense benefits. Some dogs may even do harm to the corners of your expensive furniture. But a dog bed saves you from costly repairs or destroyed furniture simply because your dog can already have a place where it can relax and sleep. It won’t be spending too much time drooling or shedding on your own furniture. As any dog owner would attest, dogs carry plenty of mud, dirt, and even bacteria on their paws. If they spend too much time on your bed or sofa, then they would certainly leave some traces of these behind. It’s definitely better for them to have a bed of their own, provided that their own bed is washed and cleaned regularly as well. 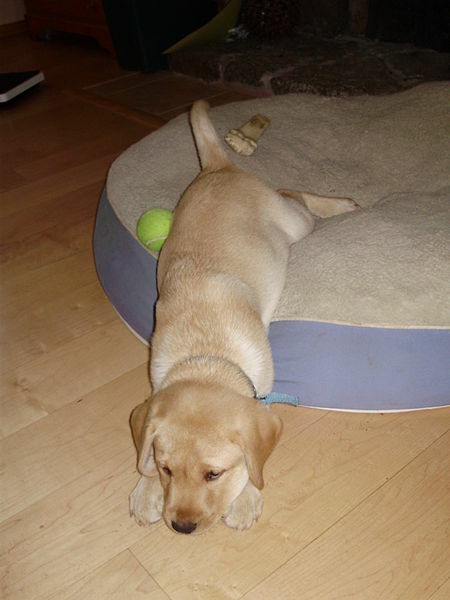 There are many kinds of dog beds to choose from made with various materials and shapes. You can even choose to have waterproof dog beds, as they are great to leave outdoors and they can easily be wiped clean instead of being machine washed. Next story Is ‘The Tweenager’ Just A Marketing Invention?